Soaking in a bubbling hot water tub that naturally filling from the cracks of earth is a fascinating activity which I love since I was a kid. The place I was born and raised have had one of the largest natural hot springs in the country and my family often visited the place for enjoying the natural wonder. Much is known about the mechanics of the natural process where ground water flows through the paths heated by the magma chamber, flow back to the earth surface, then become a hot spring. Throughout the journey, it touches and brings back the rich mineral deposits that make distinctively different hot springs depend on where that is. In some of the hot springs I've visited in the past have had two completely separate types of water in near by springs; one brown and one milky. It truly fascinates me but I don't intend to find explanation of it. Rather, I will spend more time finding the fascinating places and visit them and enjoy it instead of what mineral contents they posses or how hot they are, etc. My logic is, if the hot spring has been there for many hundreds of thousands of years, then there must be good reason why it's still there. In my web site, my goal is to share some of my experiences in hot springs throughout the world as well as connecting to other hotsprings web sites so the hotsprings aficionados can use this site as one stop where they can glean various information of the natural gift from earth. In the world of natural hot springs, there are two distinctively different types; one "primitive" and the other "developed." 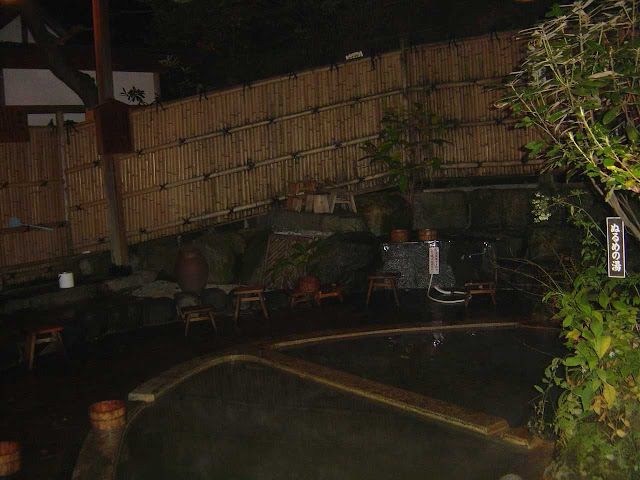 Most of the historical hot springs are well developed and well maintained and such cases are widely available in Japan (Kusatsu, Ikaho, et.c) , Germany (Baden Baden, etc), France (Plombieres, etc. ), and many other countries. In the U,S,, such "developed" hot springs are also available with less history (Hot Springs national park, Arkansas or Avila beach, CA, etc,) than their counterparts in other countries but primitive hotsprings are plenty throughout the country. In both types, there are advantages and disadvantages. The developed ones are much accessible and well maintained but populous where the primitive ones are less accessible and not so maintained but much less populous due to its remoteness. For those of people who prefers the naturalistic environment may prefer the primitive but such one sided approach could miss the opportunity to visit one of best hot springs in the world such as Takaragawa in Japan or the Blue Lagoon in Iceland. Of course, the other approach is also true. California's Deep Creek and Crab Cooker are one of the best primitive ones you can ever visit with tranquility in all seasons. I love them all. well as social gathering place. 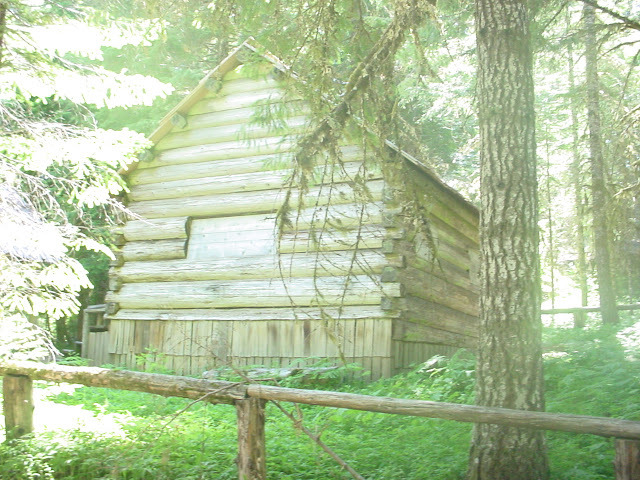 In Oregon, near mountain Hood, there's one of the most beautiful 'developed but free' hot spring called Bagby. Bagby requires a mile and a halfhike to reach and the hike is one of the prettiest in Oregon with its beautiful forest and streams. 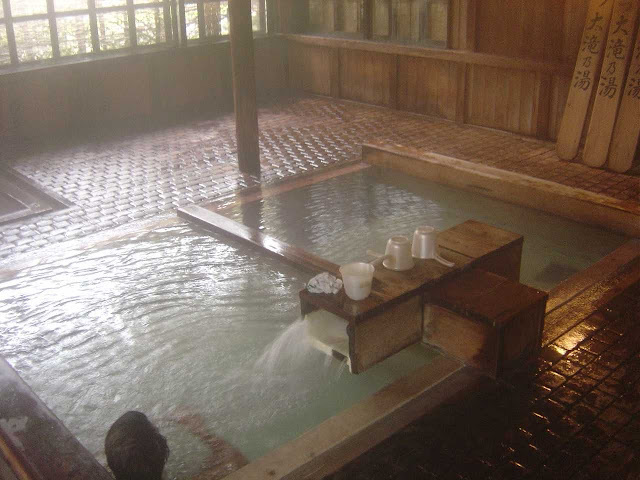 There are several cedar wood bath tubs and wooden piping that irrigates the tubs. In Plombieres near Epinal, France, the bath house was built during the Roman empire so the date goes back to over 2000 years. The wall and the structure is as same as when it was built over 2000 years ago. According to history, the bath house was well used by traveling Roman soldiers returning from the battles in Germany to cure their wounds. Prombier was well flourished during the Napoleon era when the Emperor visited and enjoyed hot spring there. Today, the hot spring is still there but the town seems abandoned and deserted. It's like traveling back to 18th centurt by time machine. The 'Rock Tub' near Mammoth mountain, CA. crab cooker, hill top, wild willie's, shepherd, and the hot creek which gives a mixture of cold creek water and hot spring water in the middle of the river. Germany's Baden Baden hot springs near black forest. 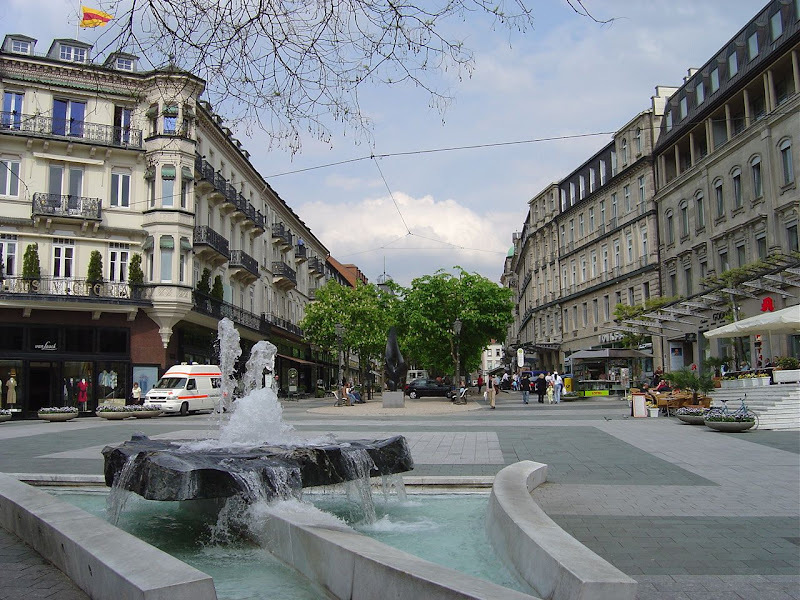 Baden Baden's hot spring was established by the Romans over 2000 years ago. They built a round shape Roman spas around the area and treated various illnesses according to history. The Roman emperor Caracalla's "arthritic aches" were treated at the spa. Baden Baden became a social hub for Europe's nobility in the 19th century by attracting many contry's Kings and Queens. 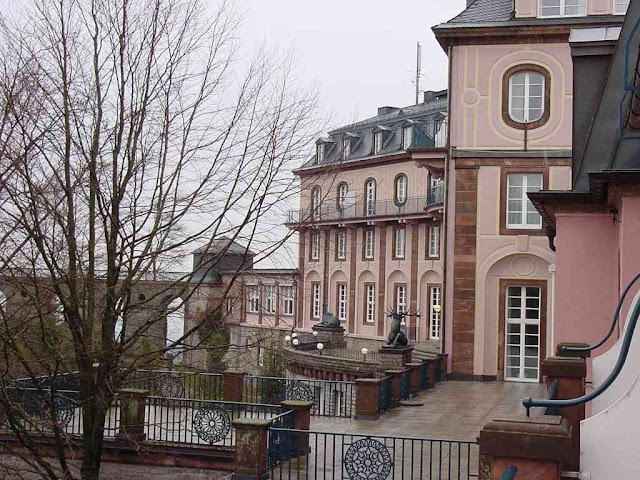 One of the best hot spring to visit in Baden Baden is the Roman-Irish baths of Friedrichsbad. It established a fine art of Roman-Irish bathing culture with German warmth and ambient. Hot Creek, Mammoth lakes, CA - An active geothermal area. Budapest, Hungary's Széchenyi Spa is the largest thermal bath of Budapest. The neo-baroque baths were built in 1913. Budapest's another famous thermal bath is The Gellért Spa which was built in 1918, at the foot Gellért Hill, next to the beautiful green iron bridge (Szabadság).